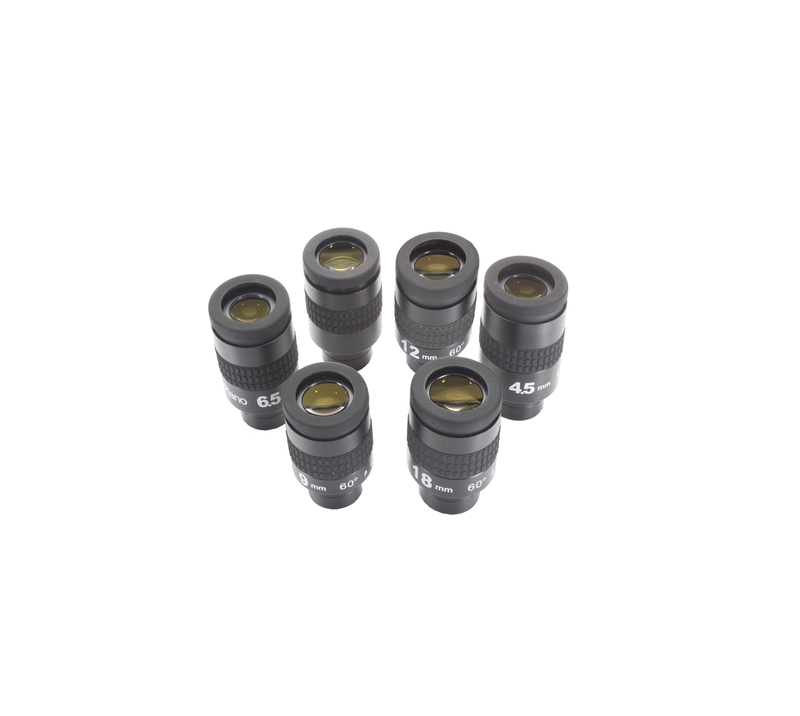 The saxon Erecting Eyepiece range is used to correct image orientation, especially for terrestrial observations. Make your telescope dual purpose with this handy eyepiece. Get greater clarity with the saxon Super Wide Angle eyepiece series. This 8-element design with blackened lens edges offers excellent light transmission and high resolution images. The saxon Super eyepieces set the performance standard for modern telescope oculars. Enhance your viewing experience with a 3-element design that provides clear views and outstanding field correction. The saxon Extra-Low Dispersion eyepiece range promises sharp, clear and virtually distortion-free images thanks to its 6-element design with fully multi-coated ED lens.